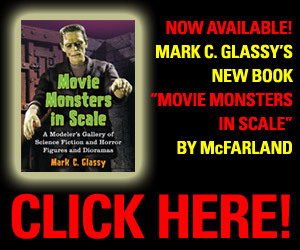 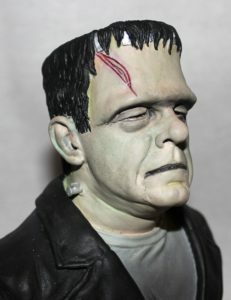 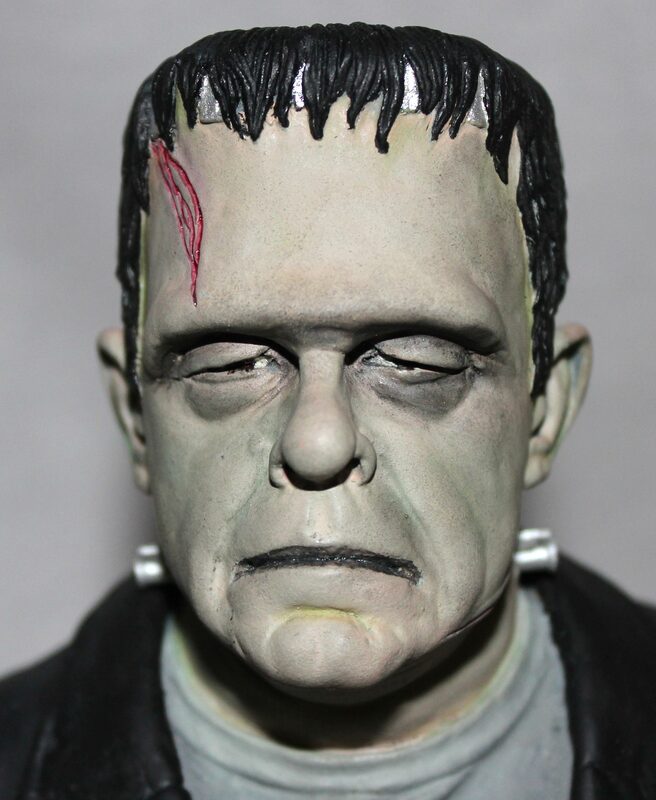 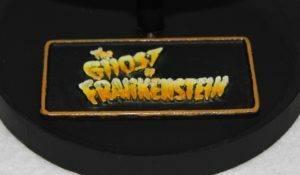 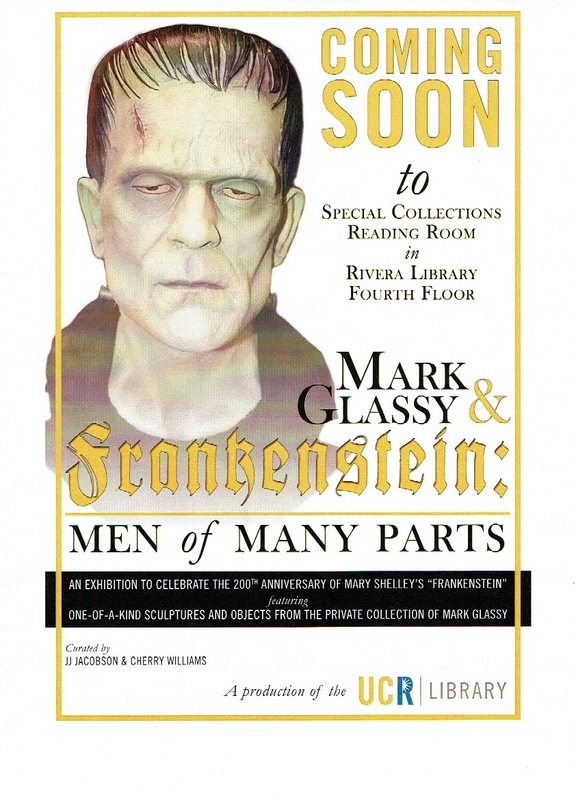 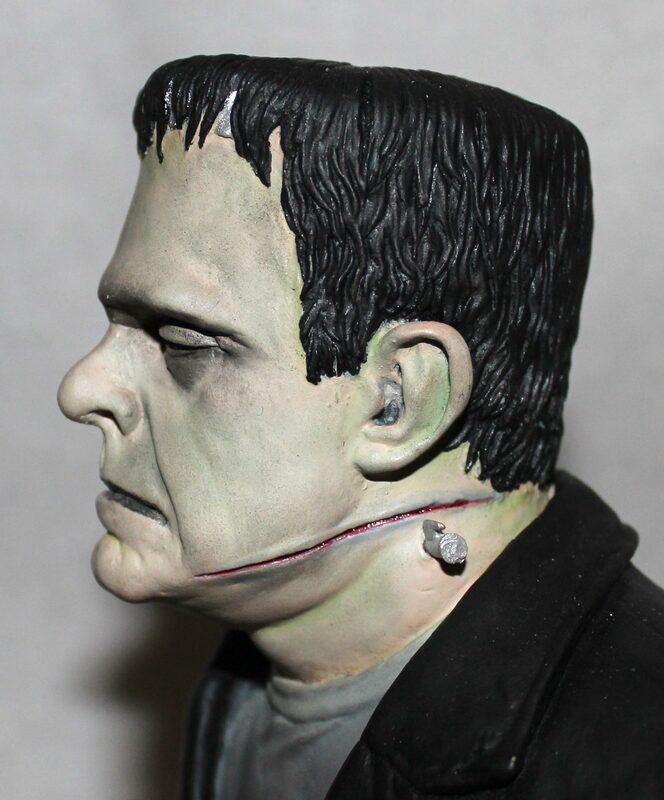 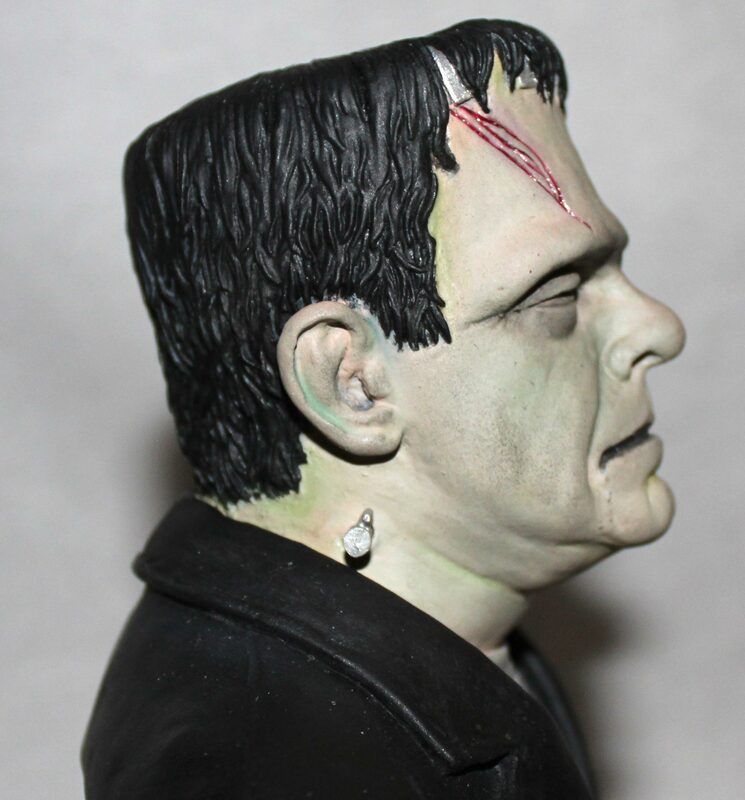 A 1/4th scale bust of Lon Chaney, Jr. from the Universal Studios film, The Ghost of Frankenstein. 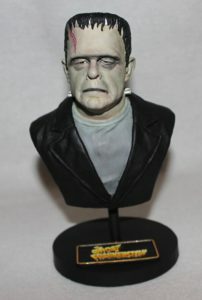 This bust was released by GeoMetric and sculpted by Mike Hill. The neck bolts are metal and drill holes needed to be made for a snug fit. 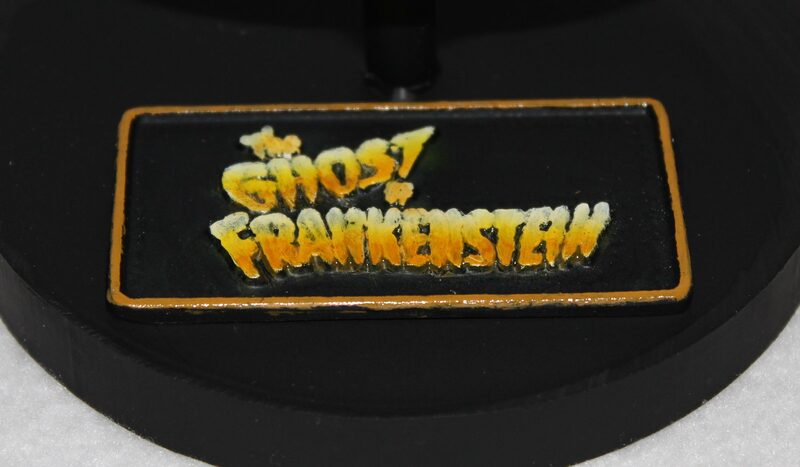 The painting was done by airbrush with some chalk details. 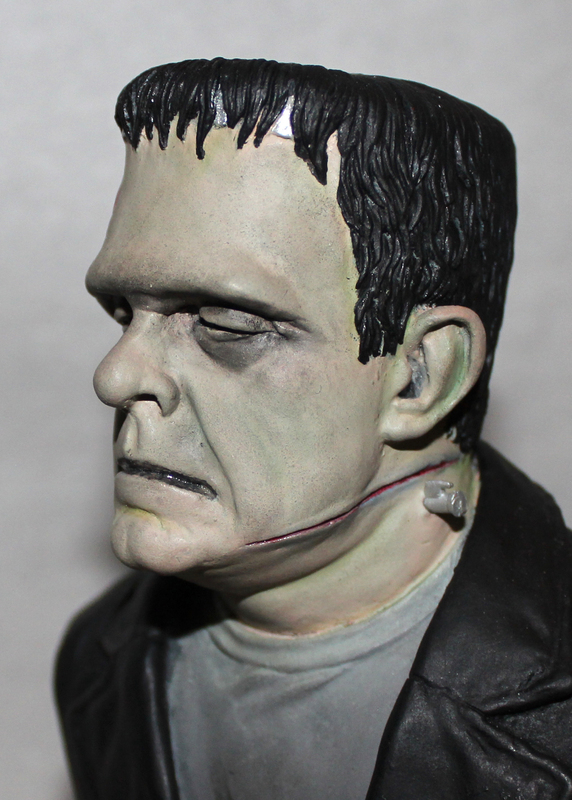 First layers were flesh tones followed by “Franken-flesh”, a mix of neutral gray and chromium green.